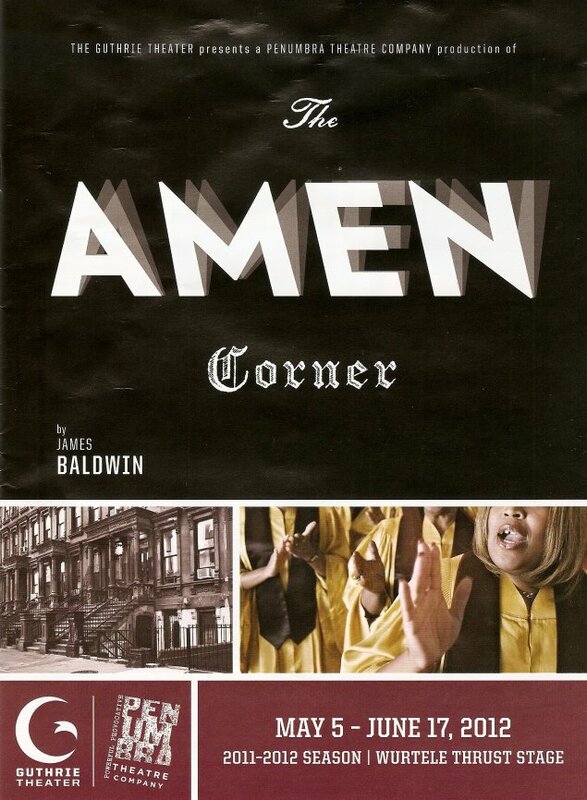 The Amen Corner is another quality production by Penumbra Theatre in conjunction with the Guthrie, featuring great acting, interesting content about our history, and some fabulous gospel music. However, I found it to be a little long at more than three hours including intermission. I'm not used to staying upright and alert until 10:45 pm, so I had a hard time staying awake through the performance. That doesn't necessarily reflect on the quality of the production, but I'm sure I would have gotten more out of it if I had seen a matinee. 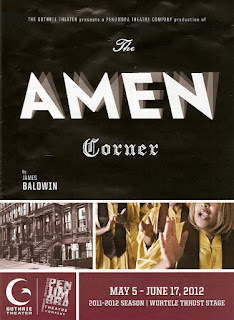 Here's what I did get out of it: The Amen Corner tells the story of a female pastor of a church in Harlem in the 1950s. Sister Margaret is also a single mother of an almost-grown son, and everyone assumes that her husband abandoned her. When he shows up on their doorstep, it's revealed that Sister Margaret is the one who left, as a reaction to a personal tragedy, and wanting a better life for herself and her son than she felt they could have with her drunken husband. The so-called elders of the church, who were her biggest supporters, suddenly turn on her at this revelation that she supposedly neglected her family in favor of the church. They use the opportunity to vote her out of the church and appoint a new pastor, a power-hungry Sister Moore. I found them to be judgmental, hypocritical, self-righteous people who did not practice what they preached. I wanted them to forgive Sister Margaret for this little lie, because in all other respects she's a wonderful church leader. But that was not to be, and Sister Margaret had to pay the price for being human. This is a really well-done production featuring several great Penumbra company members and directed by Penumbra Artistic Director Lou Bellamy, one that's definitely worth seeing. I might suggest a matinee if, like me, you're not use to late nights (I should be with as much theater as I see, I guess I'm getting too used to the one-act 90-minute show). 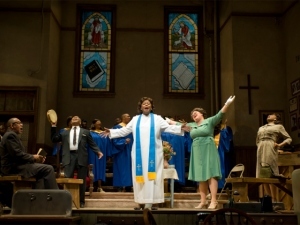 The Amen Corner is playing now through June 17 in the Guthrie's Thrust theater. And I'm looking forward to the announcement of Penumbra's next season, to find out which play in August Wilson's ten-play cycle I'll be seeing next!